S.O.S. 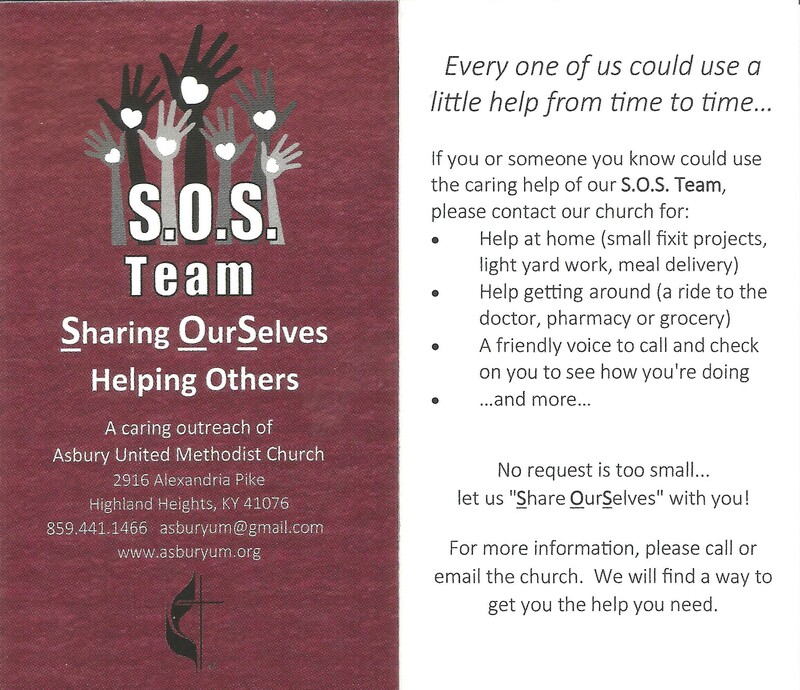 is Asbury’s own Sharing OurSelves Ministry to help those in our community with home repair projects, transportation to the doctor or pharmacy, meals in time or need, and any other “neighbor helping neighbor” acts of kindness that may be needed. S.O.S. depends on information about the needs in our community passed along to us so we can connect with that need directly and offer our assistance. If you have a passion to “share yourself” through Asbury’s S.O.S. Ministry, contact Pat here.